Africa is a vast and fascinating continent. Europeans can often make the mistake of thinking about Africa like its one giant country, Africa is however a varied land, home to a variety of totally unique nations, cultures, environments and wonders. Visitors to Africa need to decide what destination they want to experience, from the continent’s wide array of spectacular different environments. For advice on the best destinations in Africa to visit, as well as the most affordable deals on flights and accommodation, Away Holidays is an extremely popular UK travel agent. Away Holidays have been operating for many years and only provide the best deals and packages. They offer a wide range of special deals for travellers wishing to visit any of the best African destinations. All deals can be booked quickly and easily through their intuitive website. Capital of Egypt, Cairo is a perfect blend of old and new. Within the city itself, visitors can experience Egypt’s vibrant modern and fantastically passionate culture. Cairo’s traditional bazaars are thrilling warrens of little shops, where canny travellers can route out and haggle for some great bargains. 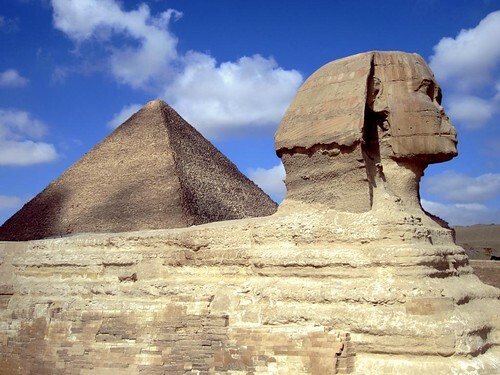 Outside of the city, travellers can explore the wider Egypt to find themselves face to face with some of the world’s most famous ancient monuments including the Great Pyramids and the Sphinx of Giza. Situated on the totally opposite side of Africa to Cairo, Johannesburg is in one of the main cities of South Africa. South Africa is home to a fascinating blend of cultures as European colonists have learnt to live alongside the area’s original aboriginal African tribes. Outside of Johannesburg, travellers can also witness some of Africa’s most famous creatures. Stepping out into the veld, travellers can spot lions, giraffes and all the most fantastic denizens of the African savannah. A new Egyptian town built purely for tourists, Sharm El-Sheikh shows a different side to modern Egypt. The town is modern and sophisticated, and situated perfectly on the shores of the warm Arabian Sea. Morocco sits on the furthest north-west corner of the African continent. Morocco is home to the dramatic Atlas Mountains that lie between the epic Sahara Desert to the south, and the beautiful Mediterranean Sea to the north. This entry was posted in Away Holidays, Best Holiday Package Offers, booking a holiday, dream holiday, Holiday Destination, Holiday Package Offers, holidaymakers, package holiday, popular attractions, tailor-made holiday, Travel Agents, Vacation and tagged Away Holidays, Away Holidays destinations, Away Holidays global destinations, Best Holiday Package Offers, Cairo, dream holiday, Holiday Destination, Holiday Package, Holiday Package Offers, holidaymakers, Johannesburg, Morocco, popular attractions, Sharm El-Sheikh, tailor-made holiday, Vacation, Where to go in Africa on December 23, 2013 by Editor. As travel becomes more and more popular, avid globe trotters are always on the lookout for new destinations to explore. When struggling for holiday or adventure ideas, seeking the expertise of a trusted travel company, such as Away Holidays, can really put you in the know. Europe, as well as other continents, has stunning holiday locations in each country, many of which are overlooked or largely undiscovered by hordes of tourists. Take the advice of many happy Away Holidays customers, and consider exploring some of Europe’s lesser known locations. Portugal, although definitely a popular beach holiday destination, hides many unknown spots that make stunning holiday locations. There are many smaller fishing villages in Portugal’s Algarve, away from the larger and more popular resorts, that offer the same sandy beaches and crystal clear waters, as well as amazing cuisine and ultimate relaxation for holidaymakers. 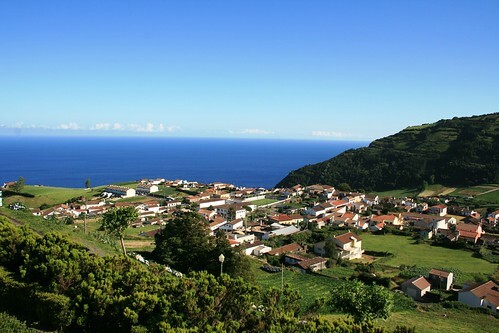 Portugal’s lesser known Azores Islands are also the perfect place for a sunny beach escape, where you can avoid the hustle and bustle of a tourist hotspot. For those who seek a city break; Bucharest is your place. Romania’s capital city has all the nightlife and entertainment as other European cities, as well as a darkly fascinating history and the luxury of the laid back Romanian lifestyle. Bucharest is also a great destination for those on a tighter budget. Romania is incredibly cheap for those of us coming from EU countries – a three course meal for two people in a decent Bucharest restaurant would cost the equivalent of around £20, and a bottle of water would be priced at well under 50 pence. Croatia is another great location for those on a budget, but even if there’s less of a pinch on your pounds, you should still consider this amazing country as a holiday destination. Smack bang in the centre of the Adriatic Sea is Vis, a Croatian island unlike anywhere else you could go in Europe. Croatia is largely tourist free (with the obvious exception of capital city Zagreb), very inexpensive, and offers a wealth of culture and experiences to visitors, not to mention the stunning scenery and friendly, helpful locals. If a location ‘off the beaten track’ is still too mainstream to suit your holiday desires, speak to a trusted travel expert, such as those at Away Holidays, about planning a trip to an alternative and lesser known holiday destination. This entry was posted in dream holiday, dream holidays, Holiday, Holiday Destination, Holiday Package, Holiday Package Offers, holidaymakers, package holiday, popular attractions, tailor-made holiday, Uncategorized, Vacation and tagged Away Holidays, Away Holidays destinations, Away Holidays global destinations, Best Holiday Package Offers, dream holidays, Europe, Europe’s Best Kept Holiday Secrets, Holiday, Holiday Destination, Holiday Package, holidaymakers, Top Destinations, travel on December 20, 2013 by Editor. It’s always rewarding and enjoyable for the whole family to get away on holiday together. There are so many options for family holidays available, that it’s often difficult to choose where to head to. Some suggestions, as recommended by many happy customers, for the best family holidays are as follows. Amongst the many resorts of Spain is the Casiero Del Mirador in Alicante. The resort is a relaxing country retreat that not only welcomes children with open arms, but provides plenty of activities for them to enjoy. From swings and a climbing frame, to sandpits and trampolines, to a small petting zoo, there is plenty for children to enjoy at the resort itself. Combine this with the nearby beach location, and you can visit the Casiero Del Mirador assured that your children won’t be bored. With the kids happy and occupied, it gives parents the perfect opportunity to relax in the tropical paradise of this luxurious resort. A crisp and wintry skiing holiday is also an ideal holiday for families with children. Even if your family have never skied before, ski schools are widely available for all age groups – and the process of learning itself can be a barrel of laughs! Alternatively, parents can always enrol children in ski schools for the day, allowing them to explore the slopes together, or even giving them time to peruse the small town and villages that ski resorts are often based close to. Aside from skiing, there are plenty of other snow-based activities that can be fun for the whole family, such as sledging or ice skating. Skiing holidays can take you all over the world, from France to the USA. One of the classic family-fun destinations is Florida. With warm weather all year round, Florida is a great spot to soak up the sun and relax on gorgeous beaches, or explore its buzzing cities like Orlando and Miami. 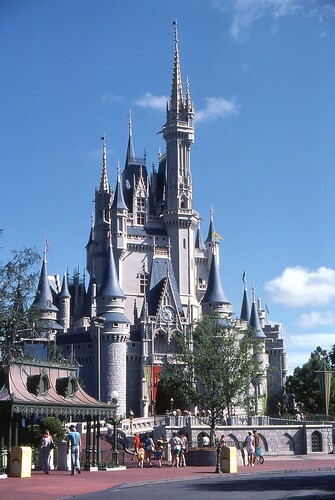 It’s also the home of Disney World, Universal Studios, and Sea World, which can bring out the inner child in everyone. With a range of resorts, some of the utmost luxury, Florida is the ultimate location to be enjoyed by kids and adults alike. Alternatively, if you’re looking for something a little closer to home, the UK has some great family holiday locations to offer. Consider camping in Welsh Snowdonia, or renting a holiday cottage in the South West. An experienced travel agent, such as Away Holidays, can advise you on a range of holiday locations, and can help you plan the perfect family trip. This entry was posted in Away Holidays, booking a holiday, dream holiday, dream holidays, Holiday, Holiday Destination, Holiday Package, Holiday Package Offers, holidaymakers, online booking enquiry form, package holiday, tailor-made holiday, Vacation and tagged Away Holidays, Away Holidays destinations, Away Holidays global destinations, Best Holiday Package Offers, dream holiday, dream holidays, Family Holiday Destinations, Family Holidays, Holiday, Holiday Destination, Holiday Package, Holiday Package Offers, holidaymakers, The Top Three Family Holiday Destinations, Travel Agents, tropical paradise holidays, Vacation on December 9, 2013 by Editor. 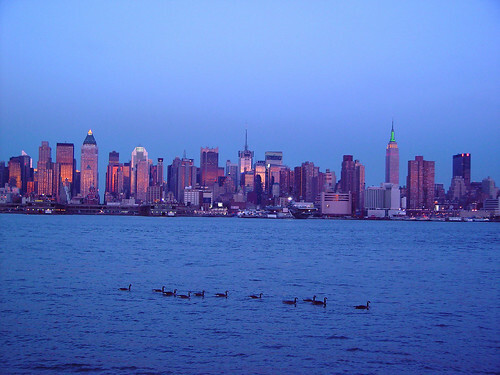 The Jumeirah Essex House in New York with Away Holidays, comfort and style in the ‘Big Apple’! When you’re arranging a trip to New York with Away Holidays, you might think that five star luxury is out of your reach. However, it is possible to stay in five star accommodation for some impressive prices with Away Holidays. You can stay at the Jumeirah Essex House from only £749 per person, and you’ll be impressed at the facilities available to you for such a great price. The hotel has 515 rooms and suites, many of which come with beautiful views of Central Park or the impressive sights of Manhattan. If you need to recline on arrival with Away Holidays, to try to keep that jet lag at bay, you can entertain yourself with the satellite television that comes as standard. Whether it is boiling hot or bone shatteringly cold outside, the temperature of your room will be adjusted accordingly, helping you to enjoy maximum comfort. Your room will be kept spotlessly clean with daily help from friendly housekeeping staff, who will be happy to make sure your bed is ready to just fall into after an exhausting day! When you’re staying at the Jumeirah Essex House hotel with Away Holidays, you can enjoy a refreshing drink from the mini bar in your room. The perfect antidote to your long journey that you can enjoy while catching up with phone calls from the telephone that is equipped to accommodate several different lines. If the reason for booking your trip to the Jumeirah with Away Holidays was a desire to alleviate stress, you should take advantage of the massage service. You’ll feel your stresses and strains literally melting away at the hands of a trained expert, and find yourself ready to enjoy all that New York has to offer! You can have the holiday of a lifetime to New York with Away Holidays. You can stay at the Jumeirah from just £749 for 3 nights between February and March, and from only £1199 you can embrace a 7 night break. The hotel is very comfortable, with stunning views and first class service, and the ‘Big Apple’ is a gem well worth discovering! This entry was posted in Away Holidays, Best Holiday Package Offers, booking a holiday, dream holiday, dream holidays, Holiday, Holiday Package, Holiday Package Offers, package holiday, tailor-made holiday, Vacation and tagged Away Holidays, Best Holiday Package Offers, five star accomodations, Holiday, Holiday Destination, Holiday Package, Holiday Package Offers, holidaymakers, Jumeirah Essex House, new york, Vacation on December 2, 2013 by Editor. Those of you who are looking for a five star break should have a look at the Omni San Francisco. Chosen by Away Holidays for its excellent facilities and premium service, the hotel is steeped in American history. The building dates back to 1926, when it served as a bank. It offers a true feeling of opulence with Italian architecture and marble, and luxurious fabrics that provide amazing comfort. The hotel restaurant is famous for its succulent steaks, and makes a great venue for sharing many special occasions. Away Holidays chose the Omni San Francisco as it meets the high standards their customers have come to expect. You will be able to recline on sumptuously comfortable beds while admiring your gorgeously decadent surroundings. The deluxe rooms feature impressive views of the lively and bustling city or the pretty courtyard that has been carefully cultivated to promote relaxation. In the California suites that you can enjoy with Away Holidays, you’ll love the huge space that invites feelings of luxurious freedom. You can stretch out on a king sized bed, knowing that you’ll have plenty of space to get a great night’s sleep. The living area has a sofa and facilities for listening to music and watching films; helping you to unwind after a hard day’s shopping and eating! If you’re especially keen on fitness and the pursuit of the body beautiful, you can book a Get Fit room at the Omni with Away Holidays. Here, you’ll find a treadmill that enables you to burn off those extra calories, and a kit that helps you to achieve your goals. Healthy snacks are provided so that you don’t undo all your good work right away, a must for maintaining that bikini body! When you book with Away Holidays, you want to know that your children are being well catered for. The Omni offers a Kids Fantasy Suite, which contains fun bunk beds, bean bags, and a great supply of toys and games that will entertain and excite children of all ages. You and your partner can kick back, knowing the children are having fun, in a large luxurious bedroom attached to the suite. 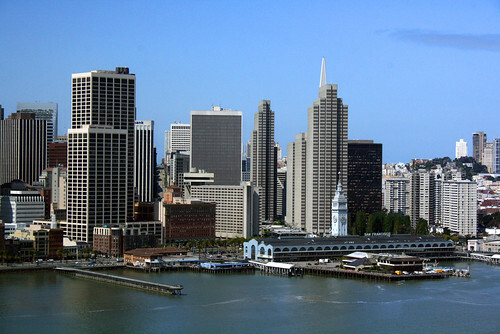 Away Holidays is proud to be associated with the Omni San Francisco. Staying at the hotel is fun and relaxing, and the service is fantastic. You’ll love the food, atmosphere and ambience, and will be clamouring for another visit! This entry was posted in Away Holidays, Best Holiday Package Offers, booking a holiday, Holiday, Holiday Destination, Holiday Package, Holiday Package Offers, holidaymakers, package holiday, tailor-made holiday, Vacation and tagged Away Holidays, Away Holidays destinations, Away Holidays global destinations, Best Holiday Package Offers, booking, Holiday, Holiday Destination, Holiday Package, Holiday Package Offers, holidaymakers, Must-See Sights of San Francisco, Omni San Francisco, San Francisco, Top Destinations, Vacation on November 29, 2013 by Editor. Are you planning to embark on that long awaited dream holiday? Do you want to cash in on a last minute deal? Are you looking to find an excellent package holiday? Are you planning your honeymoon? Are you in urgent need of a city break? If you answered “yes” to any of these questions, Away Holidays is your solution. Away Holidays understand the importance of quoting clients with the best priced package holiday offers without them having to shop around. Away Holidays also know that clients would rather spend time deciding which activities they would like to participate in whilst on their well-deserved holiday. Away Holidays present the best holiday package offers. 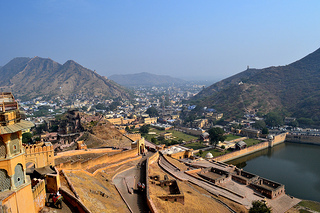 If you want to travel to a unique destination for the experience of a lifetime, take advantage of their India Tours to explore India’s Regions. Also known as the “Evergreen City”, Kerala in South India is the greatest equivocal medium in India, indulging all senses of travellers. As South India ranks high on the sought-after travel destinations, this region has long been in the sights of Away Holidays clients searching all-inclusive packages to India. Rajasthan in North India is the royal state and feels like an illuminated painting palette of the virtual artist. Every corner of this state is an experience and so captivating that it draws visitors spending on all-inclusive packages time and time again. Should your package include travelling to Jodhpur, be sure to visit Mehrangarh Fort, the largest fort in India. Other extraordinary destinations from Away Holidays include Udaipur and Jaisalmer, which makes Rajasthan an even more spectacular holiday destination. Central and Western India forms a cultural hub that fuses the diverse and distinctive prospects of the traditional Indian lifestyle. It presents the perfect picture of India’s supreme heritage and concurrent dominance to travellers. A milieu of hidden charms and sight-seeing pleasures await those booking holiday packages from Away Holidays to explore this ancient nation. In Eastern Indian, the mighty Himalayas coupled with the natural tranquillity, guarantees to strike travellers with joy and wonder. Beach lovers often prefer Goa, the largest beach attraction greeting visitors spending on our holiday packages to India. Home to a variety of princely states, booking luxury train packages is an opportunity to explore the diversity of India at all levels and explore historical relics, immaculate palaces and remarkable wildlife. With so much to experience, call on Away Holidays today to book your ultimate lowest price all-inclusive holiday packages. This entry was posted in Away Holidays, Best Holiday Package Offers, dream holiday, Holiday, Holiday Destination, Holiday Package, Holiday Package Offers, package holiday, Travel Agents, Vacation and tagged Away Holidays, Best Holiday Package Offers, dream holiday, Holiday Package, Holiday Package Offers, package holiday on May 21, 2013 by admin.